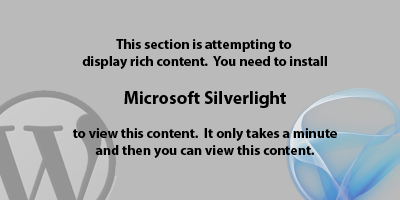 This behavior is used to set the source of a silverlight image control when an image is dropped from the file system onto a UIElement in the Silverlight application. Register to the Drop event on the AssociatedObject. The dropped file is processed to a bitmap image from a filestream. I took advantage of using the extension method for processing a file drop which can be seen here. Set the Source of the TargetImage to be the dropped image. Attach the behavior to a UIElement. The AllowDrop property needs to be set to true on the UIElement the behavior is attached to else the Drop event will never be raised. Element bind the TargetImage property on the behavior to an Image. If the target image has data binding, this behavior will remove the binding when it sets the image source. Will only work for Silverlight supported images. At the point of writing these are jpg and png.